Kohima: A day after a BJP representative signed the joint declaration assuring that the party will not give tickets or file nomination for the coming assembly polls before a solution to the vexed peace process is found, the state BJP decided that it would contest the polls. The party suspended Kheto Sema, the leader who had signed the joint declaration along with all other political parties of the state. 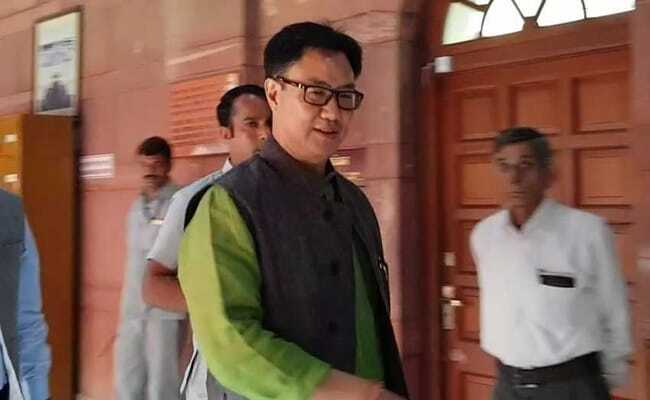 Union minister Kiren Rijiju, who is the election in-charge of the party in the state, maintained that elections are a constitutional process and the central government is bound by the Constitution. In a tweet, Mr Rijiju said: "Holding of timely election is a constitutional process. Govt is bound by the constitution. Govt of India attaches utmost importance to the long pending Naga issue. We believe that peaceful election in Nagaland will facilitate the ongoing peace talks & strengthen our commitment." The Naga rebels as well as the tribal civil society groups have been pressing upon the centre to find a solution to the vexed peace process before the elections. Monday's joint declaration by all parties posed a hurdle for the assembly elections in the state which will be held on February 27. The BJP announcement comes as its alliance partner, the Naga Peoples' Front lost 10 of its lawmakers. The lawmakers, who support the demand of solution before election, resigned from the state assembly on Tuesday. Sources say they are likely to join a new party - the NDPP, formed by Neiphiu Rio, former Nagaland chief minister. Last week, Naga Hoho, the apex body of all Naga tribes, had openly called for a boycott the assembly elections. The working committee of six Naga National Political Groups also wanted to put the elections on hold till a final solution could be arrived at.